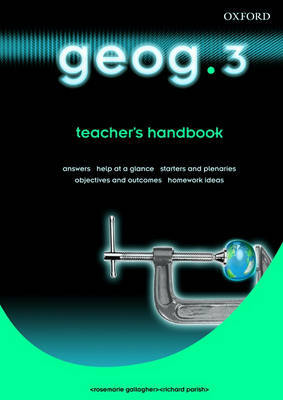 Everyday support and help for teachers using thegeog.3 students' book. The help-at-a-glance approach makes it clear and easy to use -ideal for all teachers of geography, including non-specialists. Includes starters and plenaries, objectives and outcomes, key ideas and key vocabulary, answers to the 'Your turn' activities in the students' book, and differentiated suggestions for further work in class and at home.